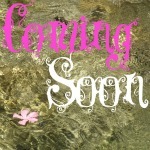 The first Organikal news update since November 2010! Remember to enable images to see this email as it is intended. Love, Me x. We're not on our usual European house-swapping summer adventure this year. We're staying here in the UK and like most folks, life continues to be super busy here at Organikal Towers. Since my last update was back in November of 2010, I wanted to fill you in a little on some of the projects and products that we're enjoying - a smorgasboard of bits and pieces you might find useful (or just a bit of fun). Keep reading for a wee something extra added in, with love from me to you. I've been writing some articles for this new ezine all about organic living and natural health. Do check it out - and don't forget to like their Facebook page for regular updates. We're going down to visit the My-Farm Project soon. I'm so excited about this National Trust initiative which allows me to finally live out my dream of being a real farmer! Farmers get the chance to debate and vote on the key decisions around the organic farm - and we're aiming to turn a profit. Last year, I made the pledge to buy handmade as part of our Organikal Manifesto. Visiting Etsy can sometimes be confusing, so here are two of my recommendations: Lori Portka Art and Miss Ballantyne Organic Skincare. Two shops that go above and beyond. If all shopping was like this, I'd be in trouble! I've included details on this page of some of the other projects I'm involved with outwith the Organikal site. Do take a look and join in. These are exciting times - and I'd love it if you joined me. Last week I got to spend a couple of days with the delightful Isabel Losada - author and world-changer. I've got a signed copy of Isabel's latest book The Battersea Park Road to Paradise to send to one lucky reader. 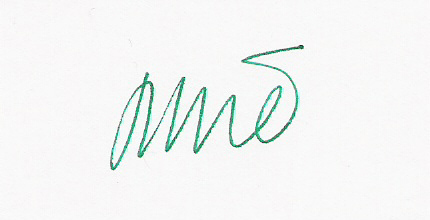 I'll enter all subscribers into the draw, and will announce the winner on the blog on July 4th. Drop me an email if you don't want to be included - it's that simple! Know someone else who may be interested? Ask them to signup here before July 3rd. Your Loving Relationships is a new project I'm collaborating on with radio host and relationships expert, Jackie Walker. Together, we help you discover everything you need to know about your Loving Self within all of your personal relationships. First up, we're taking a look at romance. Be first to get the scoop by signing up here. It's gonna be beautiful! The challenge = what can this organic enthusiast feed her family for a week from 3 carrots, a kohlrabi, a swede and a couple of oranges? The complications: a vegetarian husband and a teenage son who hates veggies. When I remember to update VegBoxMenu it documents some of the food we eat. The hope is that you might also find a few ideas in there. 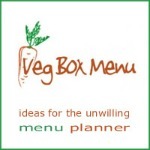 I'm looking for your veg box recipes, too - drop me an email if you've a tasty meal you'd like to include. 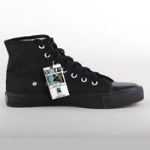 Ethletic Footwear : Organic, Fair-Trade, eco trainers, flip-flops and wellies. 15% discount : just use the code "summer11" at checkout. Starting today - 20th June - a community of readers from across the globe will be reading The Time-Traveler’s Wife. And I'm one of them. Would you care to join us (even if you've read the book before)? More details here. This group is facilitated by the beautiful Amy Palko. 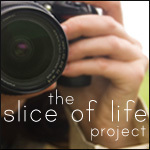 I took this 6 week photography class in the spring and discovered hidden aspects of myself from the get go. Darrah Parker leads this class with an almost psychic sense of what you need, when you need it. No complicated equipment required. Next session begins July 11, 2011. I love Heather Bestel! 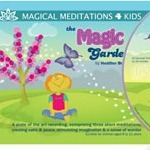 Heather has produced this fabulous series of meditations for children aged 4 -12. She's an experienced psychotherapist who has worked with children developing and building their self esteem and confidence since 1994 and these meditations are the bees knees. Some links in this email contain affiliate codes. This means I receive a small percentage of any sales made via the link. I only use affiliate programmes I whole heartedly recommend. Copyright © 2011 Organikal, All rights reserved.